* The web spinning ability of spiders and the capability of the web in entrapping prey. "Spider silk is five times stronger by weight and vastly more ductile than high-grade steel" (National Geographic, April 2008, p. 75). "The power of spider silk lies not just in the cocktail of proteins that it is composed of, but in the mysteries of the creature's spinnerets, where 600 spinning nozzles weave seven different kinds of silk into highly resilient configurations" (National Geographic, April 2008, p. 90). "Strands of spider silk are stronger than steel, yet they are able to stretch by 40% of their length before they break" (The Economist, January 31, 2009, p. 87). How could the amazingly complex spider have evolved by blind chance apart from any intelligence? And, if it really did evolve, how did it eat and trap prey during all of the thousands or millions of years that it would have taken to evolve its web spinning ability? The above DVD is highly recommended. After viewing this video presentation, it is difficult to see how anyone can believe that the life-cycle of a butterfly originated by blind chance and undirected processes apart from any intelligent design. The above DVD is highly recommended. FLIGHT is a ground-breaking wildlife documentary. A look into the animal kingdom from a perspective largely ignored by television and the scientific establishment. 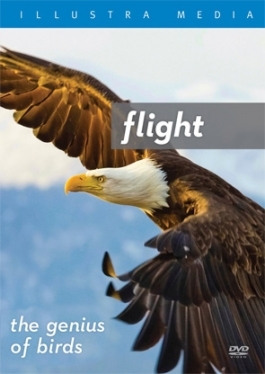 For instead of presenting a worldview based upon the blind, undirected process of Darwinian evolution, FLIGHT offers a compelling look at the design and purpose woven throughout the fabric of life on Earth. FLIGHT is highlighted by technical and artistic excellence comparable to the BBC’s Planet Earth and the Academy Award winning March of the Penguins. Photographed in North America, Peru, England, Greenland and Antarctica, the film brings together stunning images and computer animation with cutting-edge research and an original musical score to celebrate birds and their incomparable ability to live in the skies. FLIGHT also marks the launch of THE DESIGN OF LIFE, Illustra Media’s new series of documentaries that will investigate the wonders of animal biology and behavior for evidence of supernatural intelligence and mind. * "Toucan bills are a model of lightweight strength (they can crack nuts, yet are light enough not to seriously impede the bird's flight)" (National Geographic, April 2008, p. 75). Was this remarkable design not really designed at all, but just the result of random processes through time? * The animal trapping capabilities of certain carnivorous plants. * "The abalone (a rock-clinging mollusk) makes its shell out of calcium carbonate, the same stuff as soft chalk. Yet by coaxing this material into walls of staggered, nanoscale bricks through a subtle play of proteins, it creates an armor as touch as Kevlar--3,000 times harder than chalk" (National Geographic, April 2008, p. 79). Notice how the writer of this article uses the word "creates" even though he believes this creature evolved by blind chance, apart from any intelligent Creator. A creature implies a Creator. * The gecko can run up and down a tree in any way, even with the head downward. People have wondered how this lizard manages its gravity-defying locomotion. In reality, gecko feet are not sticky. They are dry and smooth to the touch. They owe their remarkable adhesion to some two billion spatula-tipped filaments per square centimeter on their toe pads, each filament only a hundred nano-meters thick. These filaments are so small that they interact at the molecular level with the surface on which the gecko walks. But adhesion is only part of the gecko's game. In order to move swiftly--and geckos can scamper up a vertical surface at one meter per second--its feet must also unstick effortlessly and instantly. It was discovered that gecko adhesion is highly directional: Its toes stick only when dragged downward, and they release when the direction of pull is reversed (National Geographic, April 2008, pages 82-83). There is not a man-made vehicle or robot that can swiftly go up and down vertical surfaces with the ease of a gecko, even though men are experimenting with robots patterned after the gecko to try to accomplish this. How frustrating it must be to scientists and engineers that blind chance is more successful than human intelligence! Evolution, with no intelligence and without the benefit of a designer, can accomplish what brilliant men fail to do in spite of all their mental efforts! * The human body with its nervous system, its circulatory system, its digestive system, its reproductive system, its skeletal system, its lymphatic system, its immune system, etc. * "The cells of the human body can produce at least 100,000 different types of proteins, all with a unique function. The information to make each of these complicated molecular machines is stored on the well-known molecule, DNA. We think that we have done very well with human technology, packing information very densely on to computer hard drives, chips and CD-ROM disks. However, these all store information on the surface, whereas DNA stores it in three dimensions. It is by far the densest information storage mechanism known in the universe. Let's look at the amount of information that could be contained in a pinhead volume of DNA. If all this information were written into paperback books, it would make a pile of such books 500 times higher than from here to the moon! The design of such an incredible system of information storage indicates a vastly intelligent Designer" [by Werner Gitt, Creation Magazine, 20(1):6, December 1997]. * The tenebrionid beetle, a desert animals in southwestern Africa, lives in one of the world's hottest, driest environments. "The beetle drinks by harvesting morning fogs, facing into the wind and hoisting its behind, where hydrophilic bumps capture the fog and cause it to coalesce into larger droplets, which then roll down the waxy, hydrophobic troughs between the bumps, reaching the beetle's mouth" (National Geographic, April 2008, p. 79). Isn't mindless evolution wonderful? How can there be design without a Designer? How can design originate by blind chance? How can random processes result in remarkable design? If anyone were to claim that a computer had no designer, he would be called a fool. How absurd to suppose that a modern aircraft had been produced apart from any intelligence, apart from any designer! And yet, every animals and every plant has functional systems far more complex than anything man has ever made. See our study Accident or Design? In the April 2008 issue of National Geographic there appeared an article entitled, "Biomimetics--Design by Nature" by Tom Mueller. Biomimetics involves applying designs from nature to solve problems in engineering, materials science, medicine, and other fields. Scientists study the amazing design in animals and plants in order to learn how to manufacture certain products. Although written by an evolutionist, the article speaks of the "brilliant design" found in nature (p. 75). It begs the question, "How can there be brilliant design without a designer?" How can blind chance, apart from any intelligence, result in brilliant design? How can random processes "create" such brilliantly designed animals and plants? 1) The boxfish has a sleek design. The contours of his body allow him to swim up to six body lengths per second. The boxfish's surprisingly streamlined form inspired Mercedes-Benz's bionic concept car which is able to perform as high as 70 miles per gallon. Here is the example of a modern car copied after the pattern of a small fish which evolutionists claim originated apart from any intelligent design (pages 69-71). 2) The thorny devil lizard of the arid Australian desert is able to convey water through its body to its mouth. All this creature needs to do is find some moist sand, and the moisture will be wicked up the lizard's leg and will make its way to its mouth. Scientists hope to make a thorny-devil-inspired device that will help people collect lifesaving water in the desert (pages 72-74). 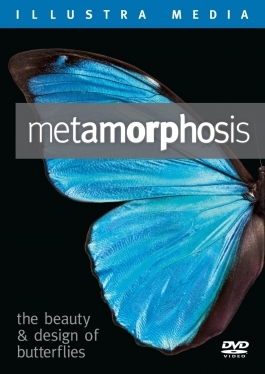 3) Iridescence in butterflies and beetles and antireflective coatings in moth eyes have resulted in studies that have led to brighter screens for cellular phones and even an anticounterfeiting technique (page 74). 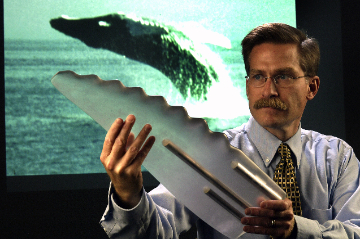 4) Engineers are pondering the bumps on the leading edges of humpback whale flukes to learn how to make airplane wings for more agile flight (page 74). In fact, dramatic improvements in airfoil design (design of fan blades, etc.) have been inspired by the unusual geometry of the Humpback’s pectoral fins. The implications of the Humpback-inspired design could be enormous, says Dewar, considering that fans are an essential component in everything from computers and microwaves to compressors, turbines and HVAC systems. 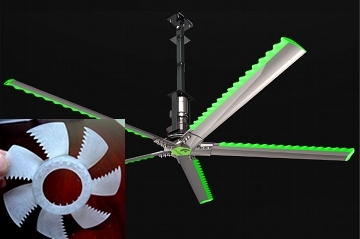 While the size of the global fan market is hard to determine, Dewar says saving between 20 to 30 percent in power consumption, were WhalePower’s fan blade design to become standard, could have a huge cumulative effect on energy consumption world-wide. 5) The finger-like primary feathers of raptors are inspiring engineers to develop airplane wings that change shape aloft to reduce drag and increase fuel efficiency (page 74). 6) Architects in Zimbabwe are studying how termites regulate temperature, humidity and airflow in their mounds in order to build more comfortable buildings (page 74). 7) Japanese medical researchers are reducing the pain of an injection by using hypodermic needles edged with tiny serrations, like those on a mosquito's proboscis, minimizing nerve stimulation (page 74). 8) Cockelbur--In 1948 Swiss engineer George de Mestral examined burs plucked from his pants and from his dog's coat after a hike. He found that the spines of the burs were tipped with tiny hooks. This clue from nature enabled him to invent Velcro, which is widely used today (page 75). We would all agree that Velcro came about as the result of George de Mestral's intelligence. Does it make sense to say that burs came about by blind chance apart from any intelligent design? 9) The metallic sheen and dazzling colors of tropical birds and beetles derive not from pigments, but from optical features: neatly spaced microstructures that reflect specific wavelengths of light. Such structural color, fade-proof and more brilliant than pigment, is of great interest to people who manufacture paint, cosmetics, and those little holograms on credit cards (p. 75). 10) The Melanophila beetle, which lays its eggs in freshly burned wood, has evolved a structure that can detect the precise infrared radiation produced by a forest fire, allowing it to sense a blaze a hundred kilometers away. This talent is being explored by the U.S. Air Force (p. 75). 11) In 1982 a botanist in Germany discovered in the lotus leaf a naturally self-cleaning, water-repellent surface. The secret lies in waxy microstructures and nanostructures that, by their contact angle with water, cause it to bead and roll away like mercury, gathering dirt as it goes. This "Lotus Effect" has found commercial application in a special paint that is reputed to repel water and resist stains for decades (page 79). 12) The blowfly is being used as a model for a miniature robotic fly that is swift, small, and maneuverable enough for use in surveillance or search-and-rescue operations. With wings beating 150 times per second, the blowfly hovers, soars, and dives with uncanny agility. From straight-line flight it can turn 90 degrees in under 50 milliseconds--a maneuver that would rip the Stealth fighter to shreds (page 82). 13) Why are sharks so speedy? An electron micrograph reveals the sharkskin's secret to speed: tooth-like scales called dermal denticles. Water races through the microgrooves without tumbling, reducing friction. Naval ships may apply synthetic coatings to their hulls copied after the amazing design of sharkskin (page 83). Are we to conclude that the design of the hulls of naval ships will be improved by copying the design of a shark, a design which is really no design at all, but a randomly evolved structure produced by blind chance over time apart from any intelligence? "A Speedo swimsuit mimics the denticles on a shark's skin, reducing drag. Introduced in 2000, the suit has helped competitive swimmers set scores of world records" (The Week magazine, May 9, 2008, p. 38). 14) "The lotus leaf has a unique way of causing water to bead and run off. By mimicking the leaf's design, scientists have created self-cleaning coatings for cars" (The Week magazine, May 9, 2008, p. 38). How can evolutionary processes governed by blind chance design anything? 15) The legs of a horse. A horse can gallop at a speed of 50km per hour. Although this requires considerable mechanical work, relative little energy is spent. How is this possible? The secret is in the horse’s leg. Consider what occurs when a horse gallops. Elastic muscle-tendon units absorb energy when the leg steps onto the ground, and much like a spring, they return it, propelling the horse forward. Furthermore at a gallop, the horse’s legs vibrate at high frequencies that could injure its tendons. However the muscles in the legs act as dampers. Researchers call this structure a “highly specialized muscle-tendon design” that provides both agility and strength. Engineers are trying to imitate the horse’s legs for use in four-legged robots. However according to the Biomimetic Robotics Laboratory of Massachusetts Institute of Technology (MIT), the complexity of the design cannot be easily duplicated with current materials and Engineering knowledge. How can blind chance and undirected processes bring about such amazing life forms? Unlike lions and leopards, whose fully retractable claws are tools designed for tearing flesh and climbing trees, cheetahs have claws that are more like the spikes on a sprinter's track shoe...Everything about a cheetah is designed for speed--pure, raw, explosive speed. Put a cheetah and a Lamborghini side by side on a freeway, and it will be a even-money bet which will smash the speed limit first. (National Geographic, November, 2012). The natural question would then be this: "Who then is this Designer that you keep referring to?" 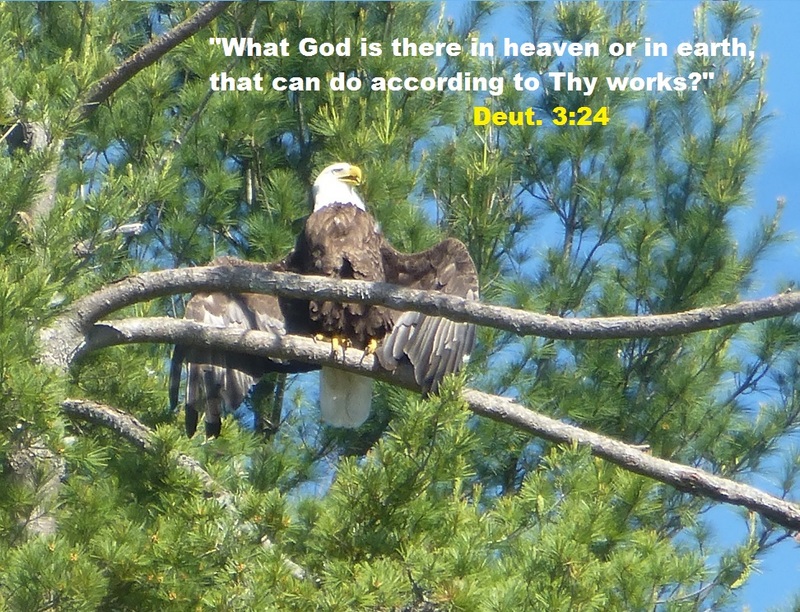 If we are wondrously complex creations, this begs the question: Who then is the Creator? National Geographic with its evolutionary world-view, never supplied the answer. How can intelligence come from non-intelligence? How can blind chance result in intelligence? How can an intelligent human mind come from mindless random processes? If there is no God, no original intelligence, then where did intelligence come from? The invention of flight on the part of intelligent men is an example of how difficult it is even for intelligence to produce an intelligent design. 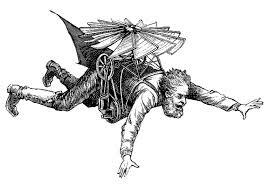 For hundreds of years intelligent men tried to fly but their efforts resulted in failure after failure. Finally, man succeeded. Why the success? First of all the men who tried to fly were intelligent. They had the ability to learn from their failures and learn from the mistakes of other men. Secondly, they had a pattern to follow. They did not have to invent something that had never been done before. They merely had to study other creatures who could already fly and learn from their amazing design. They could study birds and learn how they fly, and pattern their design, at least in part, after them. With intelligence, and with the pattern of birds available to them, it still was not easy, but finally after much trial and error, the task was accomplished by the Wright brothers and mankind has been flying ever since. What about the birds? How was flight "invented" with respect to the birds? How could this have happened by blind chance, without any intelligence and without anyone following an existing pattern? And how could this miracle of flight have occurred repeatedly, by blind chance apart from any intelligent design? For you see, birds are not the only creatures of flight. Certain mammals fly. Bats fly and flying squirrels can glide. Paleontology teaches us that certain reptiles once flew. Numerous species of insects can fly. Furthermore, animals do not all fly the same way. Each flying creature has its own unique design. A hummingbird flies totally differently than an eagle. A bat does not fly the same way a mosquito does. The wings of a goose are totally different from the wings of a bee. The wings of a dragonfly are totally different from the wings of a butterfly. Every species which flies is unique. Although sharing certain similarities with other flying creatures, each flying species has its own unique design. To say that all this took place apart from any intelligence by mere blind chance over time is difficult to accept. Evolutionists, in their theories of how flight evolved, debate whether the first flying creatures ran fast and took off from the land or whether they climbed a tree and began their flight by jumping off a branch. It is a ridiculous debate because if a creature is not equipped to fly, then it will not have success either from land or from a tree. An eagle is fully equipped to fly, and the eagle has no problem taking off from the ground or from an elevated perch. The eagle was designed for flight. Are we to believe that the process of natural selection is so intelligent that it is able to gradually evolve a creature to the point where its body totally conforms to aerodynamic principles and suddenly takes off and soars above the earth? Isn't blind chance wonderful? And God said, Let the waters bring forth abundantly the moving creature that hath life, and fowl that may fly above the earth in the open firmament of heaven. And God created great whales, and every living creature that moveth, which the waters brought forth abundantly, after their kind, and every winged fowl after his kind: and God saw that is was good (Gen. 1:20-21). Most atheists claim to have a moral code, but their code lies on a shaky foundation because they suppose that there are no moral absolutes. 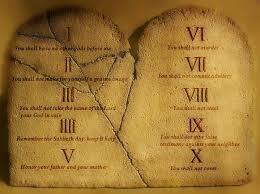 If there is no God and no moral absolutes, then why is it necessary or important to live a morally upright life? Who has the right to even define what a morally upright life consists of? And why would one person's opinion of what is morally right be any better than someone else's opinion? Apart from moral absolutes no one can declare something to be right or wrong. He can only share his own personal opinion, which is no better than anyone else's opinion. If he judges something to be wrong, that judgment is subjective and is based on no objective standard. It is only what he thinks is wrong, and others can easily disagree because they have their own subjective opinions. Was the holocaust wrong? Was it wrong for Hitler and his government to murder millions of Jews? Those of a Christian/Judaic background say that it was wrong based on the absolute prohibition found in the sixth commandment, "Thou shalt not murder" (Exodus 20:13). 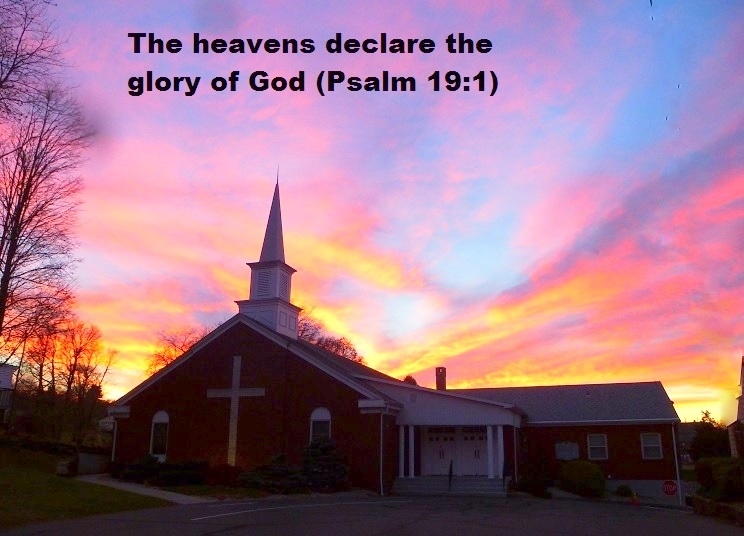 However, if the Ten Commandments did not originate from God (which is the atheist position) and if they were the product of mere men, then they merely represent Ten Opinions which are not grounded in any absolute truth. Apart from absolute standards, no conduct can be absolutely condemned, no matter how offensive it may be to some. Hitler felt that murder was advantageous and that it helped to cleanse society of certain undesirable elements. He was seeking to breed a superior race based on evolutionary assumptions. Apart from absolute truth, how can anyone condemn Hitler's philosophy? Most atheists probably condemn the holocaust, but on what basis do they condemn it? They have no objective standard by which to measure Hitler's conduct. All they have is their own opinion, their own judgment, and why would their opinion be better than the opinion of a minority of atheists who believe that Hitler was right in what he did? Atheistic communist leaders of the 20th century murdered over 90 million people (65 million in China alone), and they justified these atrocities because their cause was furthered. To them, the end justified the means. If there are no moral absolutes, a person may feel that something is wrong, but that is just his opinion. Others may hold to different opinions, and if truth is relative, then no one opinion can be authoritative. Each opinion has relative merit. One might argue, "Society must determine what is right and wrong. If the majority of people in a society vote to condemn a certain practice, then it is wrong." But what makes the majority better than the minority? Why is the opinion of many superior to the opinion of a few? An opinion may be unpopular, but that does not make it any less valid than the opinions that are shared by many. Many ancient societies saw no problem with practicing human sacrifices. If we follow this philosophy and say that morality is determined by the majority in society, then we must acknowledge that at one time human sacrifice was morally right. If there are no moral absolutes, how can we condemn a society for anything they practice? Homosexuality was once condemned by society; today it is condoned by society. Does this mean that it once was wrong but now is right? Is it possible that in the future it may become wrong again? If there are no absolute standards, then nothing is absolutely right and nothing is absolutely wrong. People's ideas of right and wrong keep changing because everything is relative in a world that has rejected absolute truth. If there are no moral absolutes, then the concepts of right and wrong lose their meaning. You may not like what I do, but you have no objective, absolute basis for condemning it. All you have is your own little biased opinion, which is no better than anyone else's opinion. How did spiders survive for so many years before they evolved their web making capability? How did skunks and porcupines survive for so long before they developed their unique ways of protecting themselves? Why were they not easily devoured resulting in their extinction? How did the whale manage to survive and swim in the ocean when it was in transition between a land mammal and a fully functional ocean creature? How did the Venus Fly Trap survive before it evolved its ability to capture and digest insects? How did the chameleon hide itself from enemies before it evolved the capability of camouflage? How can life come from non-life? Evolutionists have no answer to this question. Louis Pasteur (1822-1895) was responsible for disproving the doctrine of spontaneous generation. He performed experiments that showed that without contamination, microorganisms could not develop. He demonstrated scientifically that life does not come from non-life. Evolutionist are so baffled by this problem that many of them suggest that life on our planet was "seeded" from UFO's or from comets, but this merely pushes the problem back. That is, if an alien or a comet brought life to this planet, then where did that life come from? "The universe could so easily have remained lifeless. It's an astonishing stroke of luck that we are here." "Most chemists believe, as I do, that life emerged spontaneously from mixtures of molecules in the prebiotic Earth. How? I have no idea." This DVD is highly recommended. 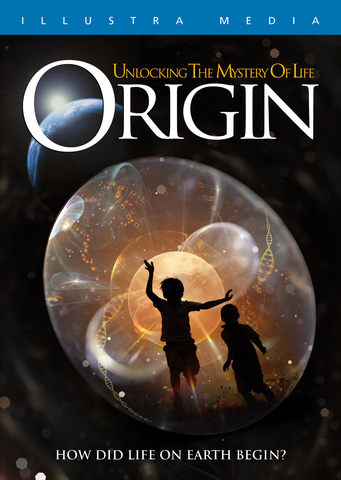 It forcefully demonstrates the bankruptcy of evolutionary theory when it comes to explaining the origin of life. The conclusion of the film is that intelligent design is the only reasonable solution to the problem. When all else fails, read Genesis chapter 1. It is absurd for the Evolutionist to complain that it is unthinkable for a so-called "God" to make everything out of nothing, and then pretend that it is more thinkable that nothing should turn itself into everything.